Stephen P. Benson is an intellectual property attorney focusing on the litigation of disputes involving patented technology. He has extensive experience in the litigation of complex pharmaceutical patents, including disputes with substantial antitrust, false advertising and complex regulatory issues. Stephen also represents clients in a variety of disputes involving state causes of action, including those arising under California’s Unfair Competition Law. Stephen’s trial credentials include significant experience in oral advocacy before juries, judges and appellate court panels. He directs and cross-examines fact and expert witnesses and represents clients before the Federal Circuit in Washington, DC. 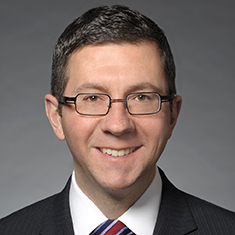 His trial credentials also include experience representing clients in written advocacy, including the drafting of dispositive briefs at the trial court level and appellant and appellee briefs at the appellate court level. He has managed the day-to-day litigation of numerous complex cases during his career, many of which resulted in favorable settlements before trial. Stephen draws on his diverse academic and professional experiences when assisting clients in resolving disputes relating to their intellectual property. While an undergraduate at the University of Michigan, Stephen was admitted to the Honors College for the study of microbiology and physics. He was nominated to the University’s chapter for the National Physics Society, Sigma Pi Sigma, and was awarded a Summer Biomedical Research Grant to study bacterial pathogenicity factors of Haemophilus influenzae. His research was presented at the 39th Annual Meeting of the Infectious Diseases Society of America in 2001. In addition, Stephen conducted research in the field of learning and memory as a neurobiology graduate. While in law school, he won awards in the study of contracts and the law of the European Union.